Protection That Goes Above and Beyond!" If your Acura has less than 50,000 miles and is a 2015 or newer you can qualify for an Acura Care service contract! The only factory backed coverage available! You can have peace of mind and you can protect your investment with Acura Care - the only extended coverage backed by the strength and stability of American Honda. Comprehensive vehicle and travel protection is available for protection beyond the original Acura warranty! Experience The Acura Care Difference. Acura Care accompanies you on all your journeys, providing valuable assistance in countless ways. So no matter where you are on the road, you´ll have the versatile services of Acura Care there to help you make the most of your Acura experience. Maintain your vehicle in accordance with its recommended maintenance schedule outlined in your warranty booklet and your Acura Care service contract can do the rest, covering potentially expensive repairs for virtually every component on your vehicle, even items like the timing belt, water pump and constant-velocity joints. If you want extended coverage beyond the original Acura bumper-to-bumper warranty, than there is no better choice than Acura Care. This plan offers you exclusionary coverage for your vehicle. This means that there really is no list of covered items. Everything is covered, except for those items in the short list of not covered items. In the event that Acura needs repair while you´re travelling and you are more than 100 miles from home, Acura Care will provide you with up to $100 per day, for up to 3 days, for meals and lodging. Should the need arise, we´ll be there to help you on your way. Whether you get locked out of your car, run out of gas, get a flat tire, need a jump start or just need to be towed, help is just a phone call away. Acura Care will reimburse you up to $45 a day, for up to 6 days, should your Acura require any covered repairs. This benefit kicks in if a covered repair takes more than 6 minutes! Concierge emergency service, including urgent message relay, emergency cash advance, emergency airline tickets, 24 hour weather information, special emergency assistance, insurance claim assistance, auto glass replacement referral, and shipment of personal replacement items. 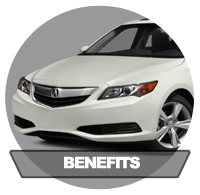 NEW BENEFITS FOR 2015 ACURA VEHICLES! In addition to the covered vehicle, all roadside assistance benefits will cover up to five (5) Honda or Acura passenger vehicles or Honda motorcycles registered to the same household address. Acura has waived the $100 towing limit. Acura will provide towing to the closest Honda or Acura dealer regardless of miles. Acura will also extend coverage an additional 25 miles if a customer wants to be towed to a specific dealer. ACURA CARE CAN HELP SIMPLIFY YOUR LIFE. Acura Care can help simplify your life by removing the concerns of many costly mechanical repairs. Even though Acura is known for its long-term reliability, it´s good to know that you have that extra measure of protection for your investment beyond the original Acura warranty. With an Acura Care vehicle service contract, you can safeguard yourself from many expensive repair bills for up to 120,000 miles. 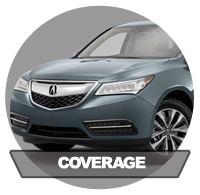 For every one of those miles, you´ll receive factory backed Acura coverage. Maintain your Acura in accordance with its recommended maintenance schedule and Acura Care can do the rest, covering potentially expensive repairs for virtually every component on your vehicle, even items like the timing belt, water pump and constant-velocity joints. Safeguard yourself from certain potentially expensive repair bills for up to 120,000 miles with low or no deductible coverage plus vehicle and travel protection. American Honda Motor offers extended service contracts for new Acura automobiles that are still within the original full factory warranty. All repairs will be made by factory-trained Acura technicians at authorized Acura dealerships using only Genuine Acura or American Honda authorized parts. With Acura Care, if no Acura dealership is available within towing distance, repairs will be made at a Acura Care authorized service center. 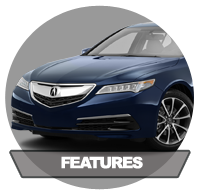 Acura Care extended coverage can cover repairs for virtually every component of your vehicle even after the original factory warranty has expired. If anything should go wrong in the vehicle´s drivetrain, the navigation system, even the stereo, Acura Care can cover the repair, potentially saving you thousands of dollars. That is the peace of mind you can have knowing you are covered for the unexpected. We have a service contract that´s right for you. Check out our Honda Care and Acura Care programs, view our printable Acura Care brochure, the same brochure as you would find at your local dealer or if you really want to see all the "fine print" review a sample Acura Care contract. We have attempted to give you everything you need to know up front, so that you will be comfortable making your purchasing decision. If you have any other questions, visit our FAQs and if you still have unanswered questions, let us know and contact us directly. Note: Service contracts for motorcycles, ATVs and personal watercraft are offered through American Honda Motor Company Inc. In Florida, service contracts for new and used Acura and Honda automobiles, motorcycles, ATVs and personal watercraft are provided by American Honda Service Contract Corporation. Visit Honda Motorcycles for information on available motorcycle plans. Florida residents may only purchase Acura Care and Honda Care coverage from a Florida Honda or Acura dealer. Acura Care prices cannot be discounted in Florida.